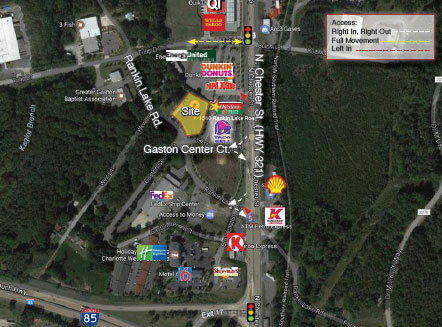 This +/- 1.12 acre ready to build retail pad is available in Gaston County shopping center in Gastonia, NC. Current tenants include Hardees/Red Burrito, Papa John's, Dunkin' Donuts, and Taco bell. 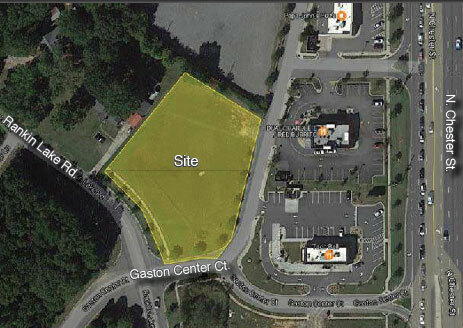 The site is just off of HWY 321 and I-85 via exit 17. It is within close proximity to numerous other retail businesses.